It is now widely accepted that institutions, broadly defined as systems of established social rules, play a major role in explaining human behaviour. 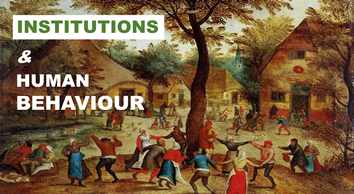 Although scholars generally agree that institutions coordinate human behavior and to a certain extent mould it into recognizable patterns, there is much less consensus regarding the precise mechanisms involved. We also have yet to fully understand the ways in which alternative rule systems and behavioral patterns emerge, persist and evolve to create our complex social systems. The Third WINIR Conference provided a forum for leading scholars from multiple disciplines and theoretical approaches to advance the ongoing conversation about these and other key issues in the growing area of institutional research. The conference opened on the afternoon of Friday 2 September and ended on the evening of Sunday 4 September 2016. There was an optional walking tour of Historic Boston on the morning of Monday 5 September. 206 delegates from 45 countries attended this event. Francesca Gagliardi (f.gagliardi@herts.ac.uk), David Gindis (d.gindis@herts.ac.uk), Geoff Hodgson (g.m.hodgson@herts.ac.uk) and Richard Langlois (richard.langlois@uconn.edu), with the invaluable help of the WINIR Event Manager, Vinny Logan (vinny@vivarias.co.uk).